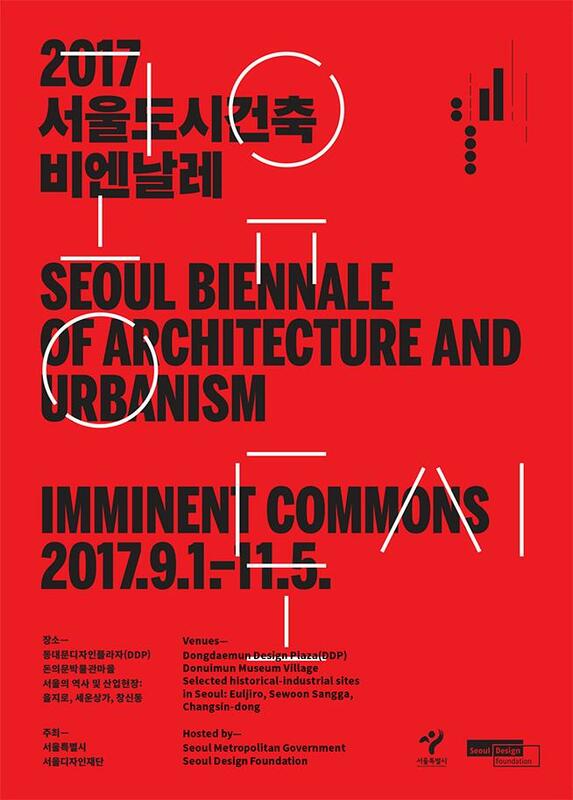 Good to see the first Seoul Biennale of Architecture and Urbanism come to life two years after that kick-off symposium at the Seoul Museum of History! Roaming its venues is also the opportunity to see how the city's urban regeneration programs* advance, particularly in Seun Sangga, Mapo Depot / Oil Tank Culture Park, and Donuimun Museum Village. Ever since the event was announced, I expected something special. If you remember the context well, it was supposed to crown the presidential campaign of Mayor PARK Won-soon ahead of the November elections, by showcasing his vision and realizations, starting with the Seoullo 7017 inaugurated only months before**. PARK Geun-hye's impeachment and the mayor's failed campaign purged the biennale from that noise, making it all the more interesting. To me, this inaugural biennale really started in October 2015, with a symposium opening up the debate about what (yet) a(nother) biennale should be, how to make it relevant in an already crowded calendar. 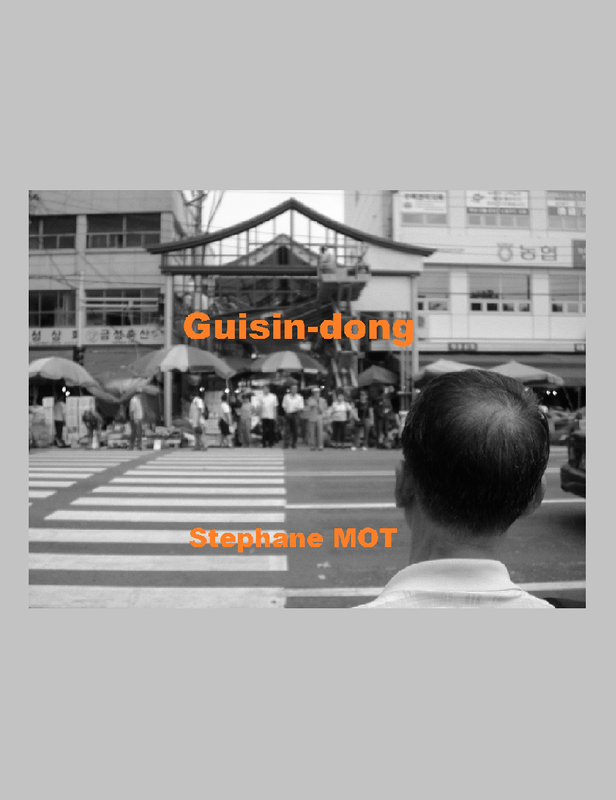 Back then, the project was known as SIBAU (Seoul International Biennale of Architecture and Urbanism), which almost resonated like a tribute to Walter Gropius. The 'I', and the acronym altogether, were later discarded, probably because a Seoul biennale can only be international, and because there can only be one Seoul Biennale. Announced last year, the theme, 'Imminent Commons', conveys a sense of emergency in troubled times. Nine commons were selected along ecology (earth, wind, water, fire), and technology (Making, Moving, Communicating, Sensing, Recycling) lines. On Friday, for the V.I.P. preview day, PAI Hyungmin (co-director with Alejandro Zaera-Polo) launched the first edition with a tour of the cities exhibition at the DDP, followed by the opening forum featuring Ricky BURDETT, and a presentation of the festivities planned across the capital. Pyongyang opens the show with a cosy interior filled with HWANG Jin-yong songs, but lacking the portraits of KIM I and KIM II, masked on the wall to comply with anti-propaganda laws. Among the more formally invited cities, Oslo proposed a bucolic catalogue of its edible natural assets, and Paris prolonged its presentation at the Pavillon de l'Arsenal. That (re)said, I'll focus on three of the seven other venues (I'll save Changsin-dong for other occasions). So let's return to Seun Sangga, Mapo Depot / Oil Tank Culture Park, and Donuimun Museum Village (you can also check "Urban Regeneration: 27 Projects For Seoul" to refresh your memory). SEUN SANGGA is still undergoing the first phase of its revamping (see previous episodes). The priority was to improve connectivity across the neighborhoods, and you can see a great deal of new staircases and escalators all over the place. As demanded in the competition brief, the Northern and Southern halves of KIM Swoo-geun's cruise ship are being reconnected. And like most projects, this one added new neighborhood / urban regeneration exhibition spaces. The main problem with this new and improved Seun? It somehow spoils key assets of the old one, particularly the view on Cheonggyecheon (there were probably more discreet ways to connect the deck and the stream than this bulky staircase), and the feeling of space when you walk the deck (I love Seoul alleyways, but adding new structures all along the way was a mistake). But this was a very challenging project, and if Seun's fragile ecosystem and spirit subsists, this will be a victory. MAPO DEPOT (now Oil Tank Culture Park) also lost some of its charm. Even the creative squatters who occupied the abandoned site have joined the main stream by optimizing their FAR with new containers, and surrounding their now legalized lot with a classic fence and hedge. I understand that you couldn't keep the tanks 'in their juice', but there's a bit too much concrete for my taste, and the cathedral-like volumes have shrunk too dramatically. Tank #3 has been spared, so you still can have a gist of what it used to be, but you can't get inside that one. Nevertheless a spectacular site, with rocks carved to prevent neighboring parts of the city from suffering in case of explosion, and a fun walk particularly during the Seoul Architecture Festival, with plenty of talks and exhibitions to enjoy. It's a bit like Sissel Tolaas' exciting Seoul smellscape (in one of the tallest buildings of that low rise neighborhood), where you can sniff scents captured across the city center, between the DDP and this DMV: smells are synthetized and amplified, not like the original, but a distant echo. Anyway, the site and its expos are definitely worth visiting. Seoul shall use the space as a guest house hub after the biennale, but I hope it will host future editions as well. Meanwhile, enjoy this first edition, and this ever changing city of ours! 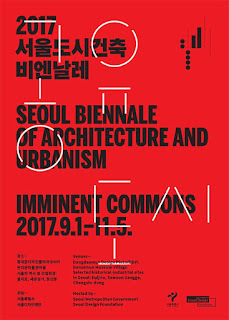 * see among others "Urban Regeneration: 27 Projects For Seoul"
** see "Seoullo 7017, and more roads to Seoul"
*** see "Don't miss Le Corbusier in Seoul... The artist, not the urban planner!"